Hi all! I'm in an especially fabulous mood (check the sports page!) :-) and while I was watching the Cubs last night I came up with a new brush set for journaling. There are several very large (about 2500 px) brushes, some are grungy and some are "clean". There are also a few "line" brushes. There are suggestions on how to use the brushes in the zip file. Enjoy!! 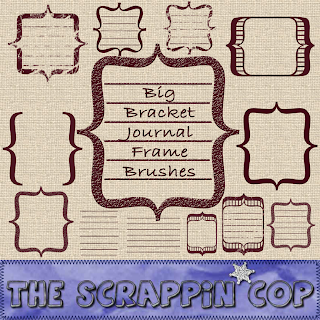 Download the BIG JOURNAL BRUSHES HERE! I really love your brushes and I tyvm4s! WOW - Thank you SOOOOO MUCH!!!! Love your brushes - thank you! LOVE LOVE LOVE all these journal brushes!!! !